The establishment of feudal principalities in the Levant in the wake of the First Crusade (1095-1099) saw the beginning of a centuries-long process of conquest and colonization of lands in the eastern Mediterranean by French-speaking Europeans. This book examines different aspects of the life and literary culture associated with this French-speaking society. 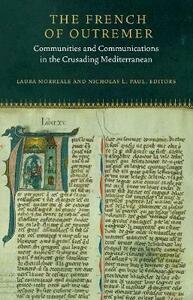 It is the first study of the crusades to bring questions of language and culture so intimately into conversation. Taking an interdisciplinary approach to the study of the crusader settlements in the Levant, this book emphasizes hybridity and innovation, the movement of words and people across boundaries, seas and continents, and the negotiation of identity in a world tied partly to Europe but thoroughly embedded in the Mediterranean and Levantine context.